Bridging the gap between staff and key decision makers can unlock ideas that can lead to smarter ways of working. An Ideasbank innovation solution will help you identify innovative ideas within your organisation and successfully develop and implement them. 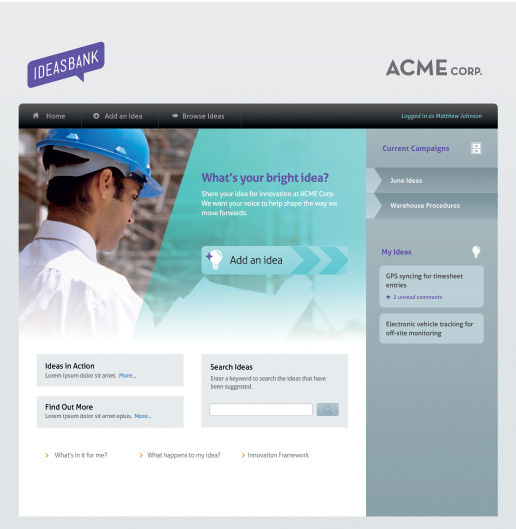 The Ideasbank platform facilitates enterprise wide collaboration. When combined with a customized innovation strategy and process, Ideasbank forms a complete innovation solution that will enable your organisation to leverage the combined thinking power of your entire staff. The platform is fully customisable, which means you can rename and rebrand the system to sit in line with your own company branding goals and strategies. The system can also be completely integrated into your existing network to ensure efficiency and effectiveness. At the foundation of the platform is the ability for users to input and manage their own ideas as well as search, contribute, develop and support the ideas of others. plan and implement ideas on a case-by-case basis as well as being able to profile staff and their ideas to the entire organization. Increase revenue and reduce costs across the entire organisation. Develop new products and business opportunities. 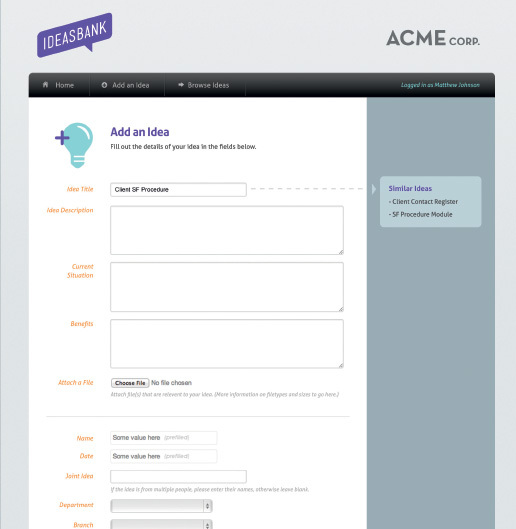 Manage idea workflow from generation to implementation. Conduct and manage innovation challenges. Identify staff that are key innovators. Quantify innovation through comprehensive reporting. Build a culture of collaboration and innovation. 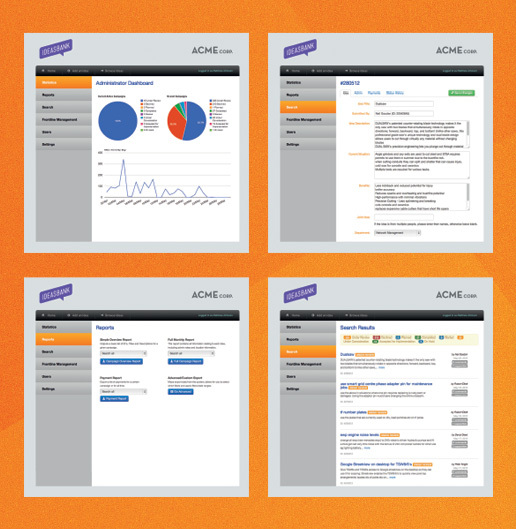 Engage every employee organisation wide via any device. Ideasbank has proven to pay for itself in 6 to 12 months. To organise a free consultation and explore how an Ideasbank Innovation Solution can generate revenue and reduce costs for your business, give us a call or email and we’ll get in touch.